San Juan del Sur is located on the Pacific ocean close to the border with Costa Rica. It is a very popular tourist destination and the area is home to a very large community of ex-pats from the US and Europe. 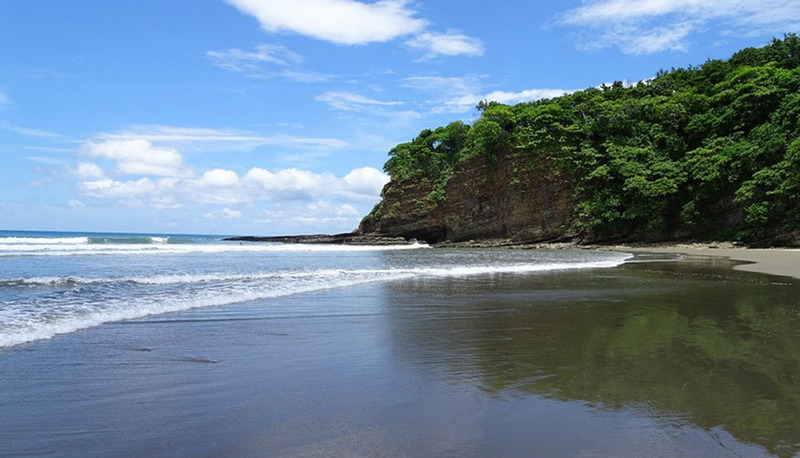 San Juan del Sur is in many ways more similar to Costa Rica than to the rest of Nicaragua. The real estate prices in the area are very high and the area is home to large communities with identical (or near identical buildings). 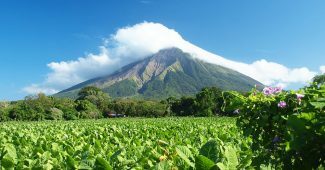 It is a wealthier area than most of Nicaragua but does also lack a lot of the charm of the rest of the country. Something that has been lost due to large developments. Some areas of San Juan del Sur remain charming. The area offers good food and good hotels as well as world-class surfing and fishing. There are several very good beaches in the area. The beach in San Juan del Sur city is unfortunately very dirty and not inviting for swimming. It is a small society with just over 15 000 inhabitants. San Juan del Sur is a relatively young Nicaraguan city. 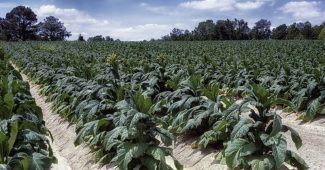 It was formed around the year 1900. 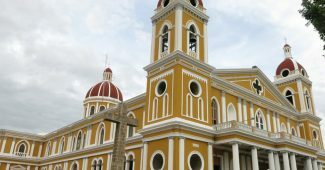 The city has a limited history due to it being so young compared to many other Nicaraguan cities. The US was involved in armed conflict in San Juan del Sure on March 7, 1984. 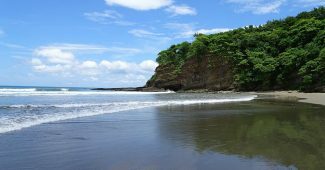 It is and has historically been one of the most important ports on the Pacific side of Nicaragua. 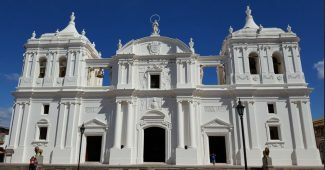 If you want to go to San Juan del Sur you can choose to fly to Managua in Nicaragua or Liberia in Costa Rica and then go by car or bus from there. Both cities are on a similar distance of San Juan del Sur. 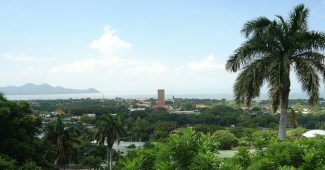 It is usually faster to go through Managua since the border crossing from Costa Rica can take a lot of time if you go through Liberia. If you fly into Managua and then go by ground from there than you can choose to get a shuttle or a taxi. A taxi is likely to cost you about USD 100. The price of a taxi is the same regardless of the number of passengers. The price of the shuttle depends on the number of people that are traveling that day. The shuttle will be expensive if you book it for just you. You can also choose to go by bus. This is the cheapest option. How much it will cost depends on whether you chose to go by minibus or by regular bus. A minibus is faster and a lot more convenient. The minibusses have AC. The large buses do not. A minibus will be slightly more expensive but is still very cheap. A minibus to San Juan Del Sur will cost less than USD 5 per person. You can also fly to the Costa Esmeralda airport near San Juan del Sur. This is a small airport that primarily caters to private flights to Mokul resort. There are regular flights from Liberia and Managua. 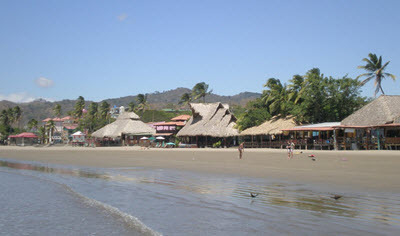 San Juan del Sur is home to a large number of different hotels. Backpackers and travelers with a small budget can choose between a number of different hostels. Travelers with a larger budget can choose one of the many smaller hotels in the area. There are also a number of different resorts to choose from. If you are looking for luxury then you can book a room at Mukul. A luxury resorts that charge well over USD 1000 a night for a basic room. More for larger suites. The resort has a private golf course and the Costa Esmeralda airport is also a part of the resort. San Juan has a lot of good restaurants. The city has a large permanent expat population and this has resulted in a lot of good restaurant in the area. The restaurant quality is better in San Juan del Sur than it is in most other places in Nicaragua. You can find all types of food in San Juan del Sur but the seafood is especially good and very cheap. San Juan del Sur is a very safe area and you should feel safe to walk along at any time, day or night. This is true both in the city and in surrounding areas. San Juan del Sur is a typical beach community and most activities are those you expect to find while on a vacation on the beach. The area offers fishing, surfing, swimming, whale watching, Sea turtles, beer cruises and a lot more. It is a place to relax and have a good time. I recommend that you spend the days on the beach and the nights in one of the many good bars or restaurants.